This is one of those annoying reviews. 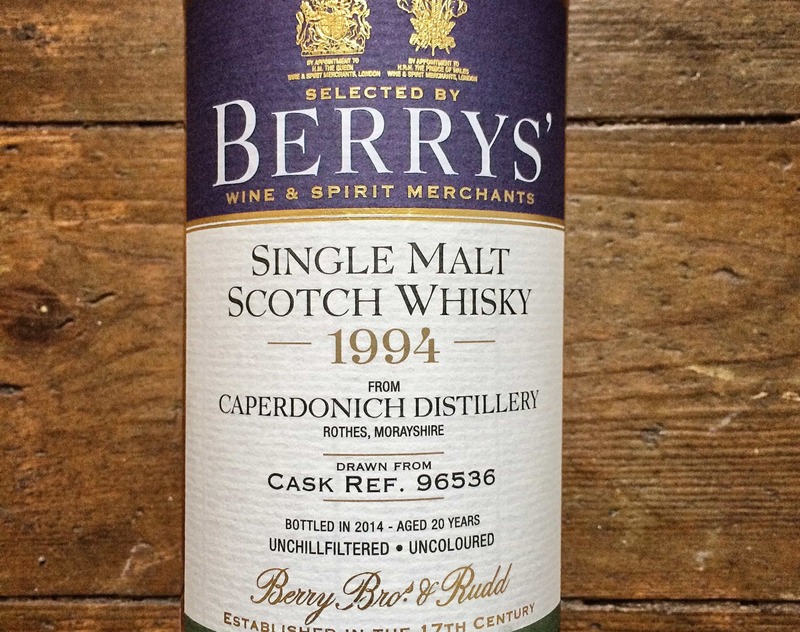 I bought a bottle of the Signatory Caperdonich 1995 – 17 Year Old / Cask #95043 from The Whisky Exchange, but as far as I know, it’s now sold out. Hardly surprising, given that Caperdonich is closed. It is no more. It is an ex-distillery. That means collectors want to get their hands on it and this bottle is now hard to come by. I actually bought it on a whim, too, since I’d tried another Caperdonich fairly recently and enjoyed it. 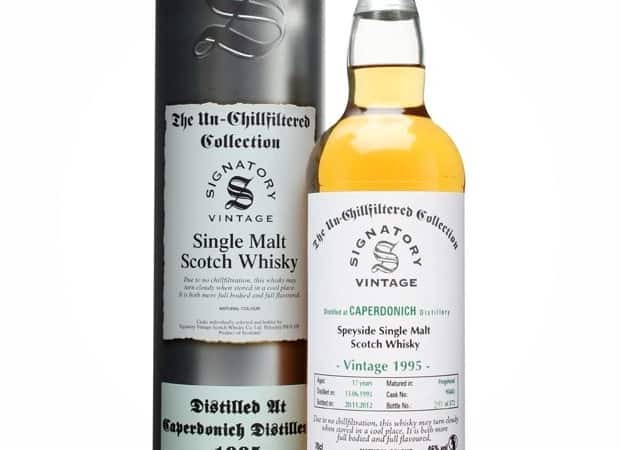 Well, Signatory Caperdonich 1995 – 17 Year Old / Cask #95043 was distilled on 13th June 1995 and bottled on 20th November 2012 by Signatory for their Un-chillfiltered collection, after 17 years of life in a hogshead. Colour: amber leaning towards hessian. On the nose: a sherry blast, no doubt. You can sense it from across the room almost, and yet, when you draw it close, it seems far more delicate. Treacly sweet. Prunes. Nutty. Malty. Quite a classic sort of nose, and I don’t mean that in a two-dimensional way. In the mouth: ah yes, this is a statesman, make no mistake about it. The whisky carries on that really classic, elegant profile from the nose. It’s well balanced, walking a fine line between the nutty-malty and the sherry. A vague, sort of whizzy menthol. Straight up and down, this; it’s what works in its favour. Style, not fashion; an Oxford Brogue rather than a new UGG boot. Caperdonich distillery is sadly no more but its memory lives on with tales of the whisky pipe and a healthy stream of various independent bottlings..